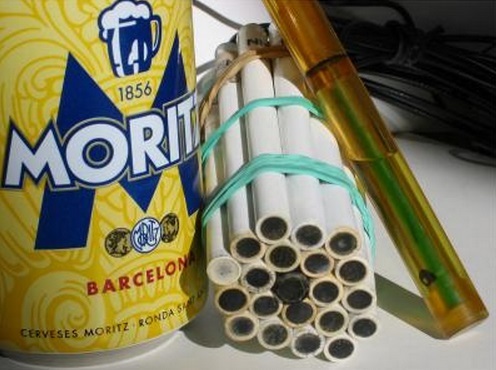 Seis cervezas por favor, mi amigo va a pagar. "The concept of the electronic tongue consists in using a generic array of sensors, in other words with generic response to the various chemical compounds involved, which generate a varied spectrum of information with advanced tools for processing, pattern recognition and even artificial neural networks," said Manel del Valle, associate professor in analytical chemistry at the Universitat Autónoma de Barcelona. The research, published in the journal Food Chemistry, details how the team built a bundle of 21 electrodes to act as the tongue. Some are built to sense the presence of different substances in fluid, including sodium, potassium, and nitrates, while others fed back more generic information about the brew. "Using more powerful tools – supervised learning – and linear discriminant analysis did enable us to distinguish between the main categories of beer we studied: Schwarzbier, lager, double malt, Pilsen, Alsatian and low-alcohol, and with a success rate of 81.9 per cent," del Valle said. The team thinks the software and hardware combination can be refined to include more beer types with additional research, and to improve the accuracy of robotic taste testing still further so that the device can be used for process control standards in the brewing industry.